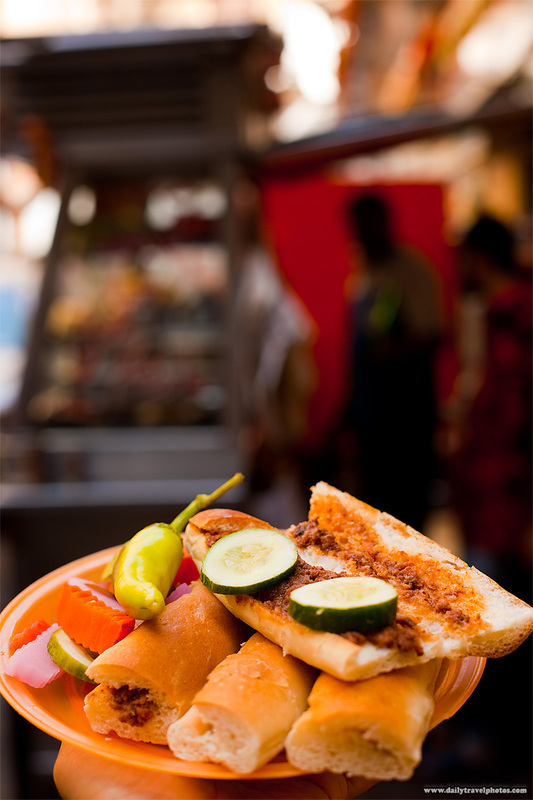 Sugo', a fast-food Egyptian sausage sandwich served from a street stall. Fast, delicious and cheap at only 1.50 Egyptian pounds (US$0.25) per sandwich (2 sandwiches, each cut in half, are present in the above photo), I found this surprisingly tasty street food gets little coverage in any of the guidebooks. In a strange way, these sandwiches are reminiscent of a hearty American beef chili inside a soft hot dog bun. Despite the risk of mummy tummy (a close cousin of Delhi belly), I enjoy ingesting experimental street-meat, particularly when it's served from a street-stall surrounded by a small horde of local folk. On this occasion, the experiment was a resounding success, especially when I discovered the sandwich came with a large helping of pickled vegetables! Sugo', Egyptian street-food made with sausage and mystery sauce. 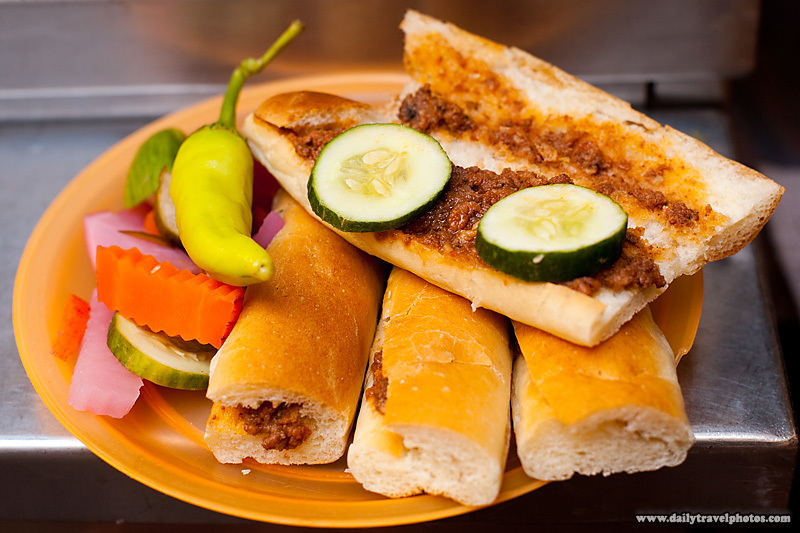 Take out the bread and it looks exactly like chili con carne?